Keeping your pearly whites pearly should be trusted with a dentist that has experience and a careful hand. Enter Dr. Galliano – an exceedingly skilled and qualified dentist with many years of service giving patients beautiful smiles. Dr. Galliano is capable of performing a myriad of dental procedures, including providing patients with porcelain veneers. Don’t fret your visit to the dentist and enjoy the superb care offered at Galliano Family Dentistry! Do you want to get your teeth looking more attractive and youthful? Porcelain veneers can give your smile a real boost, and you will be hard-pressed to find a better dentist to apply your veneers than Dr. Galliano. 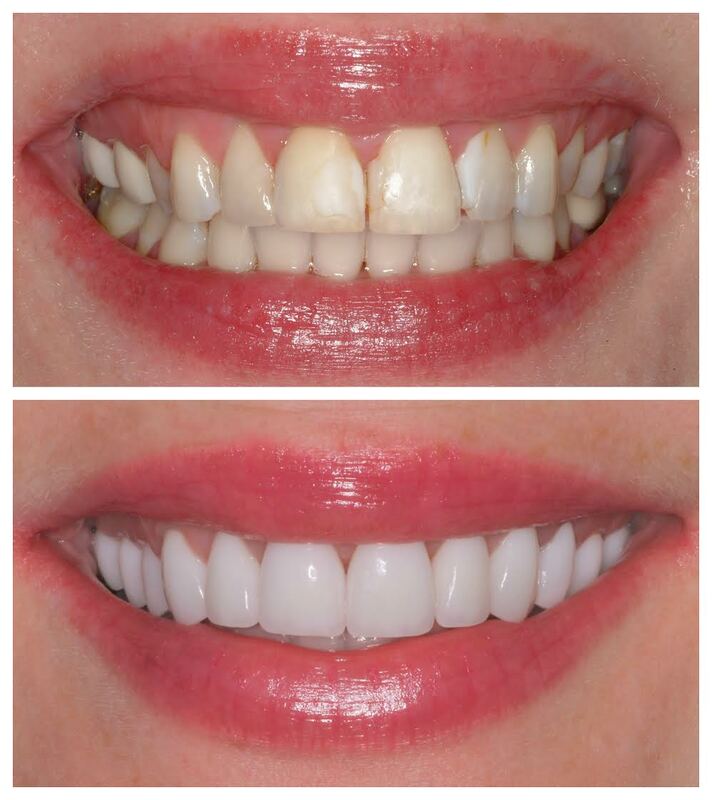 He has helped a great number of patients achieve a more natural looking smile through Elite Porcelain Restoration veneers implemented through a special technique. Veneers offer patients a long-lasting and natural aesthetic, as well as strength and cover for the entire tooth. Veneers can be used to improve a variety of cosmetic dental concerns like discoloration or stains, gaps between teeth, crookedness, chips, and other imperfections. While some dentists use resin veneers, Galliano Family Dentistry uses more stain-resistant porcelain veneers that are more natural looking. Visit our dentistry today and Dr. Galliano can help you determine in veneers are the right option to improve your smile. The procedure of applying veneers involves shaping them to the old tooth so it completely covers it. Next, an impression is made and temporary veneers are cemented on for two weeks until the final product is ready. Dr. Galliano will then make specific modifications and measurements so that a laboratory technician can fabricate the unique final product. After your second visit, you will leave with the final product and a smile that you are proud of and deserve. Dr. Galliano is as qualified a dentist as you will find, and our dentistry’s commitment to excellent care and quality service ensures you leave wanting to show off your beautiful smile to the world. As a graduate of all advanced level programs at the prestigious L.D. Pankey Institute for Advanced Dental Study, you can be confident that you are in good hands with Dr. Galliano. Come in to Galliano Family Dentistry today and we will help you through each step of the process of getting beautiful porcelain veneers!